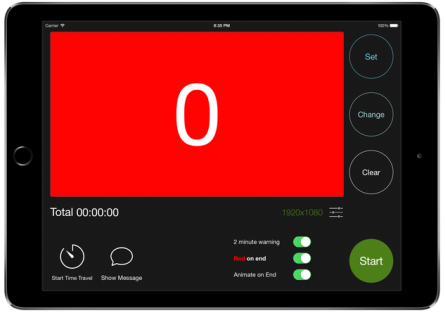 iPad-based countdown timer for the live-event and television industries. 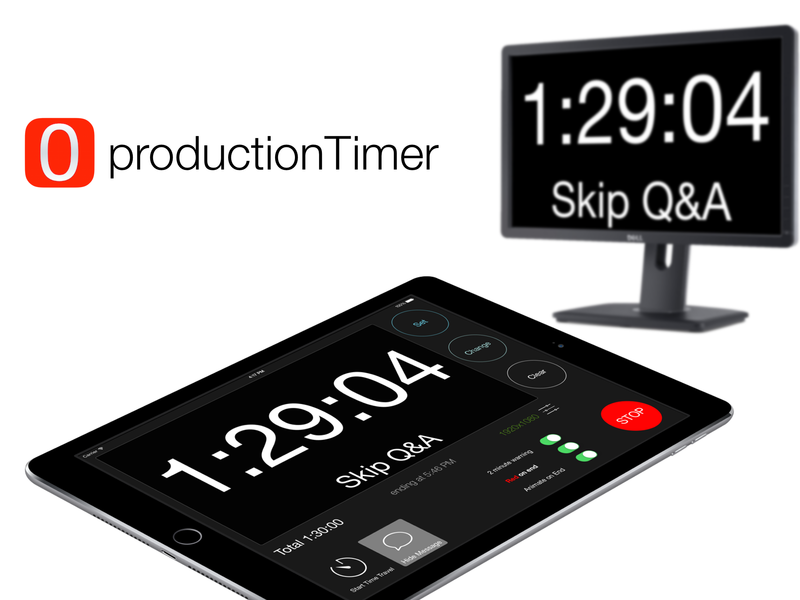 Version 2.0 brings all the features of productionTimer to the smaller, more portable and more cost-effective iPod Touch. 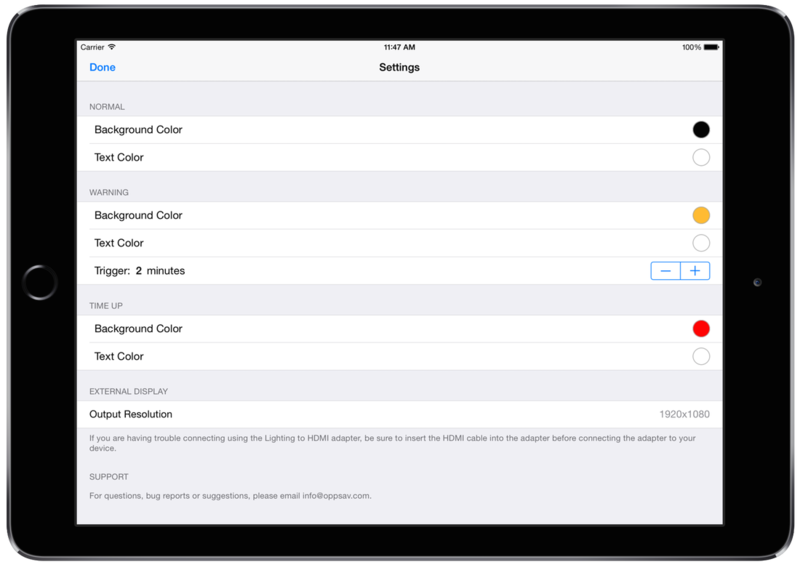 Connect to an external monitor or video switching/routing system using Apple's Lighting to HDMI adapter or AirPlay receiver, like AppleTV. 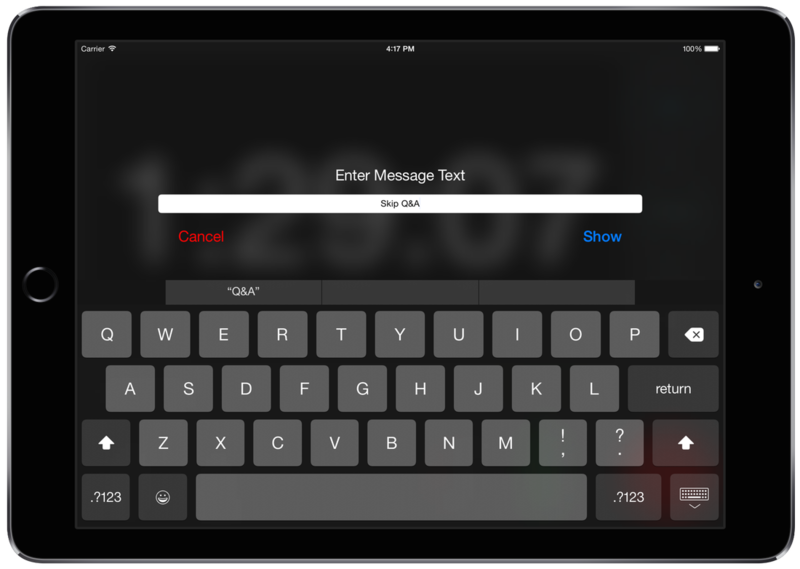 Discretely share a quick message with the talent without sub-switches or additional equipment. 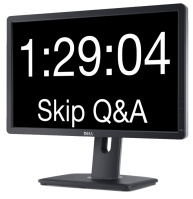 Messages are displayed directly below the clock. Need to shave a few minutes to get back on track? Time-Travel makes the clock tick a little faster. productionTimer always lets you know the time of day the clock will hit "0", whether time-travel or not. Clear - Stops the clock, sets time to zero. Start/Stop - Stops/Pauses and Starts the clocks. "_ minute warning" - changes the color when the clock is at or below the "warning time. "_ on end" - changes color when the clock reaches zero. Animate on End - Pulses the clock text when it reaches zero. Start/Stop Time Travel - Enter 'Time Travel' mode. 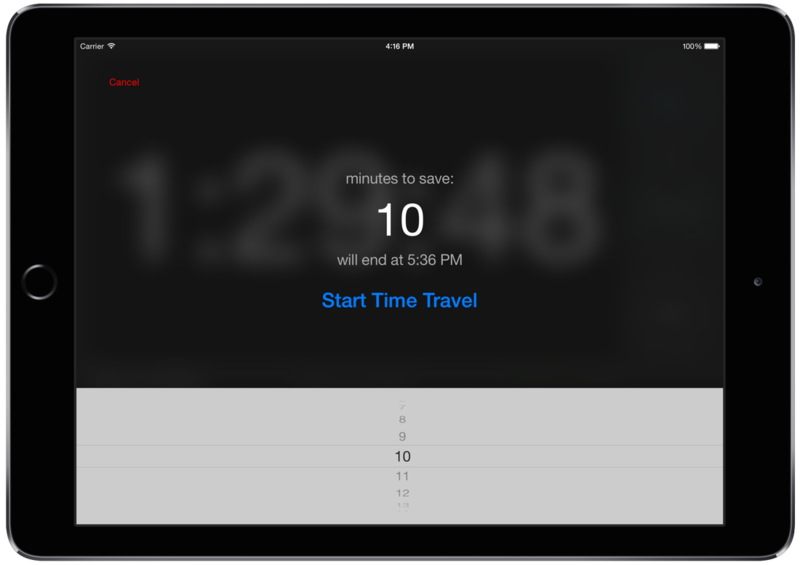 Select minutes to cut off of actual time. Clock ticks faster to end by selected time. Show/Hide Message - show a short message under the time. "_x_" or "No Display" - Shows resolution of external display, if connected. "ending at _" - time that the clock will reach zero; when zero, the time of day that it reached zero. "warning" trigger - usually used to bring notice that the time is almost over.